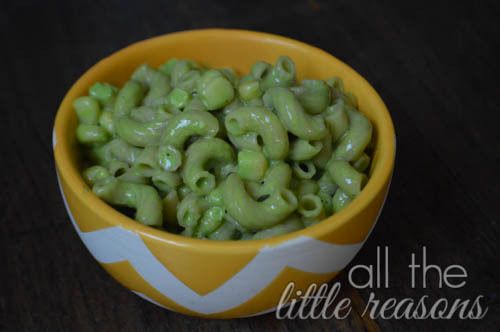 So many people serve their kids green food on St. Patrick’s Day. I love to do it too, but I’m not a fan of unnatural food coloring. 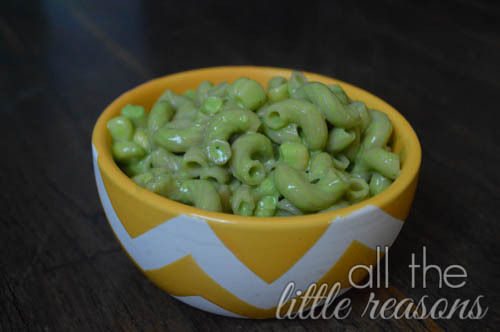 My kids requested green mac and cheese today, and I was happy to oblige. 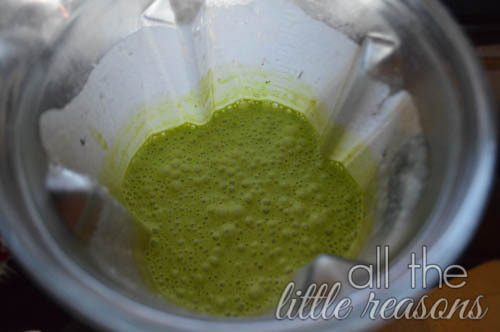 When they were babies, I used the Annabel Karmel books to make purees and toddler foods. We’ve adapted this recipe and used over and over throughout the years. 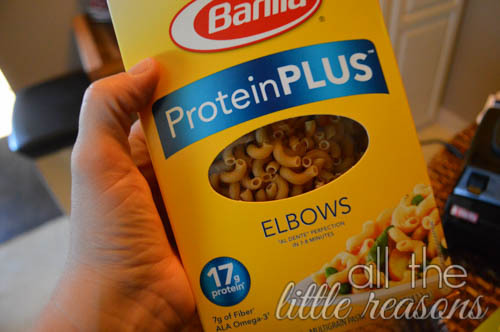 It’s still a favorite and made a perfect healthy addition to St. Patrick’s Day. Maybe you can serve it to your family tonight! Start the water for macaroni. Meanwhile in a separate pan, make a roux with equal parts butter and flour, whisk it and let it cook for a couple minutes. 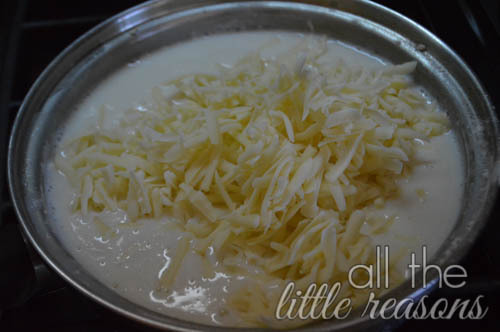 Add the milk a little at a time and let it come to a boil until it is thickened. Add the swiss cheese and let it melt. I have to say that I was originally a little hesitant to use swiss like she recommended, but it’s so mild that everyone is a fan. 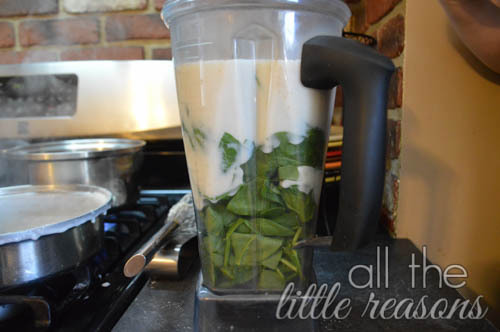 Pour the cheese sauce over the package of spinach in a blender and blend until smooth. Be careful because this is hot! Cook the pasta according to package directions. I like to use whole wheat. The last couple minutes it’s cooking, add in the corn. Or, if you’re like me and use a pot that is way too small as always, you’ll have to cook the corn separately! Drain both. And that’s it. Mix the sauce and pasta/corn together. Add salt to taste. My kids each ate at least 2 bowls. I think you’ll love it. Happy St. Patrick’s Day! In one pot, start the water for the pasta. Cook according to package directions. The last couple minutes it's cooking, add the corn to heat through. Drain both. At the same time in another pot, make a roux by melting butter and adding flour. 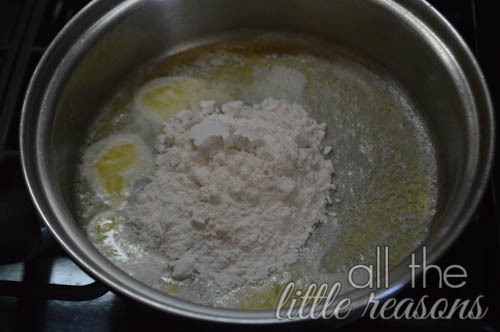 Let it cook for a minute or two to cook off the raw flour taste. 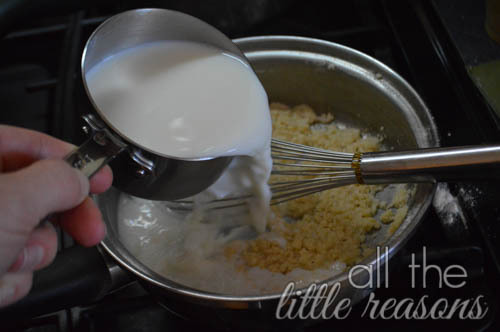 Add milk a bit at a time, whisking in between. Let it come to a boil to thicken. Turn off the heat on the sauce and add the grated cheese. 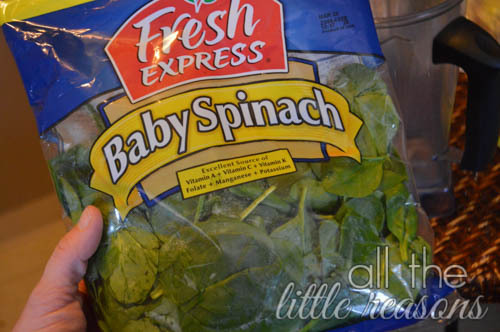 Add package of spinach to blender. Pour cheese sauce over the spinach and blend until smooth. Be very careful. It's hot! 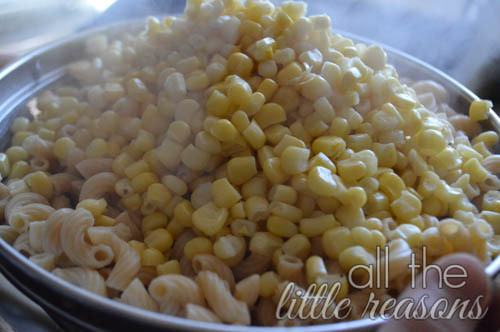 Pour sauce over macaroni/corn and salt to taste! I add 4 or 5 pinches of salt to mine, so it's a bit. Enjoy!